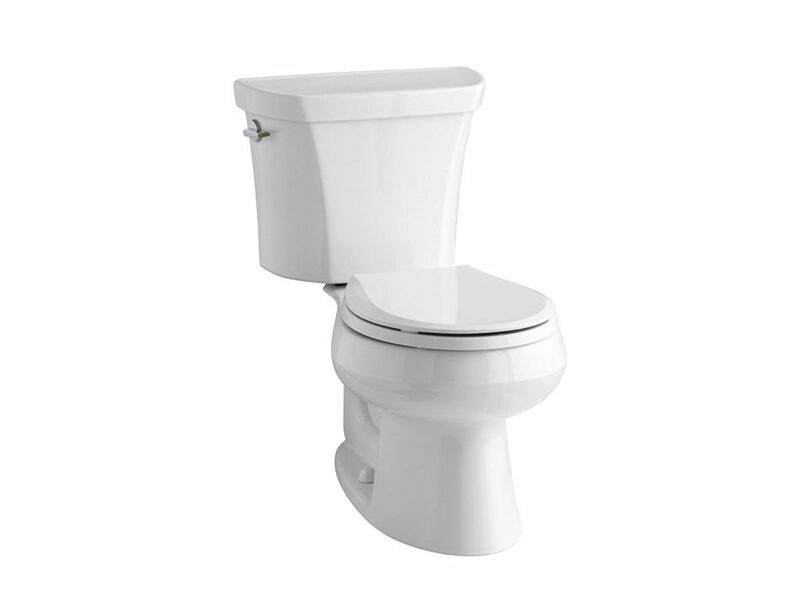 Dual flush toilets are a great way to lower water bills and contribute to the environment. That’s why these toilets have become so popular lately. But, how do these toilets work and which one would be the best dual flush toilet for your bathroom? Well, you’re about to find out, so stick with us. 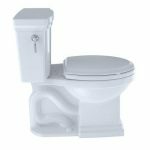 Based on dual flush toilet reviews, here are best models in 2017 that are good value for the money. So, let’s see what these toilets have to offer your bathroom. No list of best toilets would be complete without an American Standard toilet. 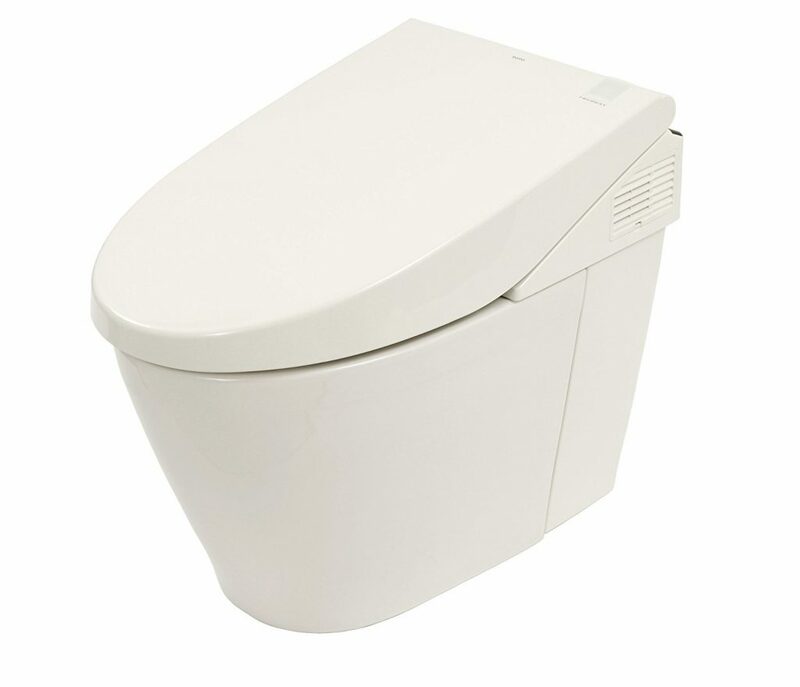 The dual-flush mechanism works smoothly and it’s very quiet, which certainly is a huge bonus. Because the flush mechanism works so well, the bowl will be cleaner (compared to other models). Moreover, this model is a breeze to install and takes a little time. The unit complies with ADA specifications and is also WaterSense certified. Meaning, it won’t use more than 1.28 gallons of water per flush – so you’ll definitely reduce water consumption in your household. As for the downside, the model doesn’t come with a seat, so you’ll have to spend some extra cash in order to get one. Read the full review of the American Standard H2Option toilet. 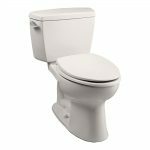 The Woodbridge Dual Flush toilet is one of the most popular dual flush toilets on Amazon. 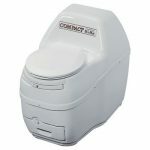 It is equipped with an elongated seat and is ADA, or a comfort height toilet. It also includes a soft-close toilet which most consumers really appreciate. It has a very sleek and modern design that will look great in any bathroom. The Woodbridge is equipped with a siphon flushing system so that no waste is left behind. You can choose from a 1.0 or 1.6 gpf depending on if you are depositing liquid or waste, giving an average of 1.28 gpf. Read the full review of the Woodbridge here. Now, if you are fine with spending a fortune on a toilet, then this is the way to go. 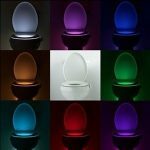 This model comes with all the bells and whistles - Programmable Nightlight, Automatic Flush, Automatic Open and Close Lid. You’ll be impressed with it and, without a doubt, will love using it (and so will your friends and family). 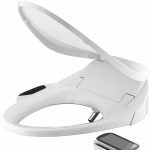 This toilet makes effortless work of using a toilet, as it has an automatic flush and automatic lid. We love the provided light, as it looks really great at night. Plus, it comes in handy. However, you may need to change the plumbing in the bathroom, in order for this unit to be installed properly. Needless to say, this is not a small thing to do, though this toilet works fantastic. Read the full review of the Neorest 550 here. In case you have a small bathroom, this toilet will be an ideal fit, thanks to a round-front bowl. This model offers the possibility to flush 1.1 or 1.6 gallons of water per use. It’s a two-piece model, making installation a whole lot easier. 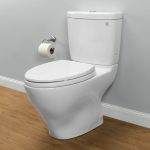 This toilet is well-built, efficient and quiet – plus it comes at a great price. As for the downside, the toilet is a bit low, so it can be inconvenient for the elderly. Read the full review of the Kohler Wellworth. 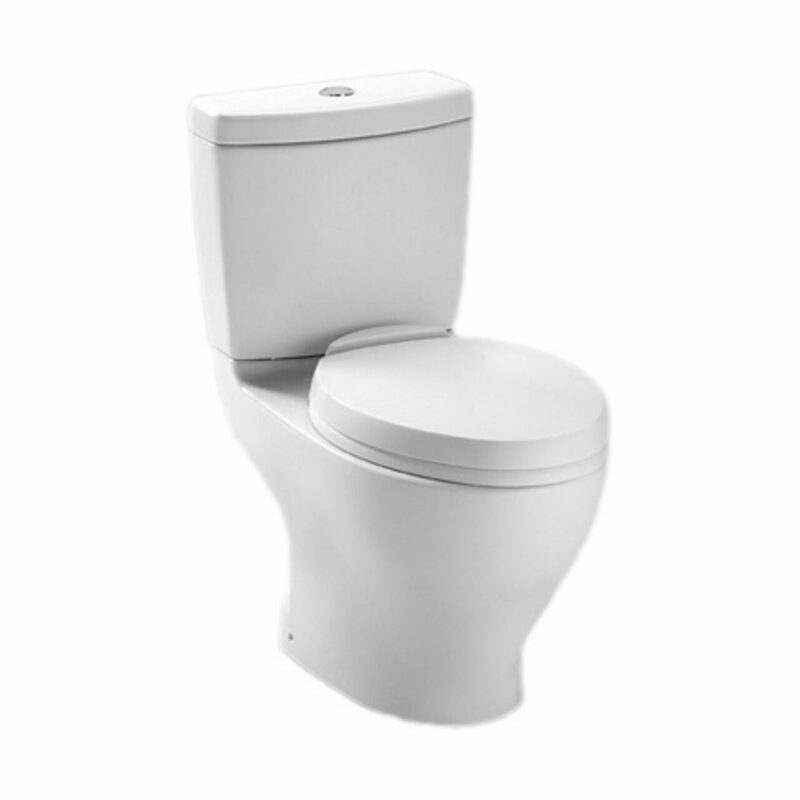 Beautiful and functional – this model is one of the best dual-flush toilets that money can buy. Toto Aquia comes in a variety of colors to choose from so that you can find the perfect one to match your bathroom’s interior. This toilet has universal height and features an elongated bowl, which looks more elegant than a rounded one. Despite nooks and cranks, you won’t have any problem with cleaning the toilet. However, a slight issue is that chrome push-buttons tend to get stuck every now and then. But, this is a common issue with this type of toilets. 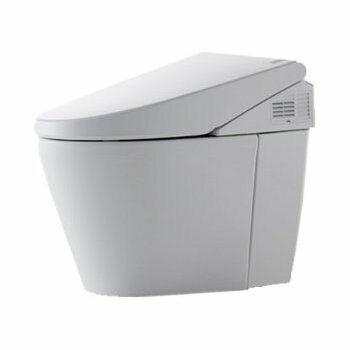 See more details on the TOTO Aquia here. 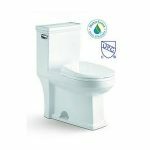 A dual-flush toilet is similar to a regular flush toilet, only this one comes with two buttons/handles to offer a lower and higher level of water consumption. 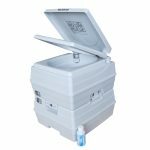 Meaning, it has a capacity to use 3 liters of water and 6 liters. Of course, the first one being used for liquid waste, while the latter is designed for solid waste. In addition, these toilets feature a larger trap way in the bowl, that ensures the bowl will be cleaned much better. This also means you won’t need to use very harsh chemicals in order to clean your new dual-flush toilet (and that the quality of the said toilet won’t be decreased). 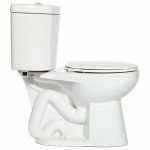 Better yet, you can clean your new toilet in a completely natural way, so as to preserve its beauty and functionality. Because of this, these toilets are highly efficient. Not only will water consumption will be greatly reduced, but your water bills will also be much lower. However, these are not only reasons of why you should get one of these for your bathroom. Using a dual flush toilet will also have a positive impact on the environment, due to saving water. That’s why the use of these toilets are encouraged in some communities. Moreover, there is lower maintenance with these kind of toilets. How is that so? Well, unlike the traditional water-siphoning method of flushing, these models are way better designed, thus they use gravity. The result? 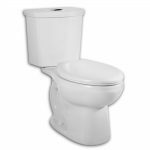 By way of using gravity, the chance for your dual-flush toilet to clog will decrease, which means there will be no need to call a plumber as often as you did when you had a traditional flush toilet. Again, you’ll save some money. And there you have it – best dual-flush toilets that money can buy. This list is quite diverse, so finding a good toilet for your bathroom would not be a problem. 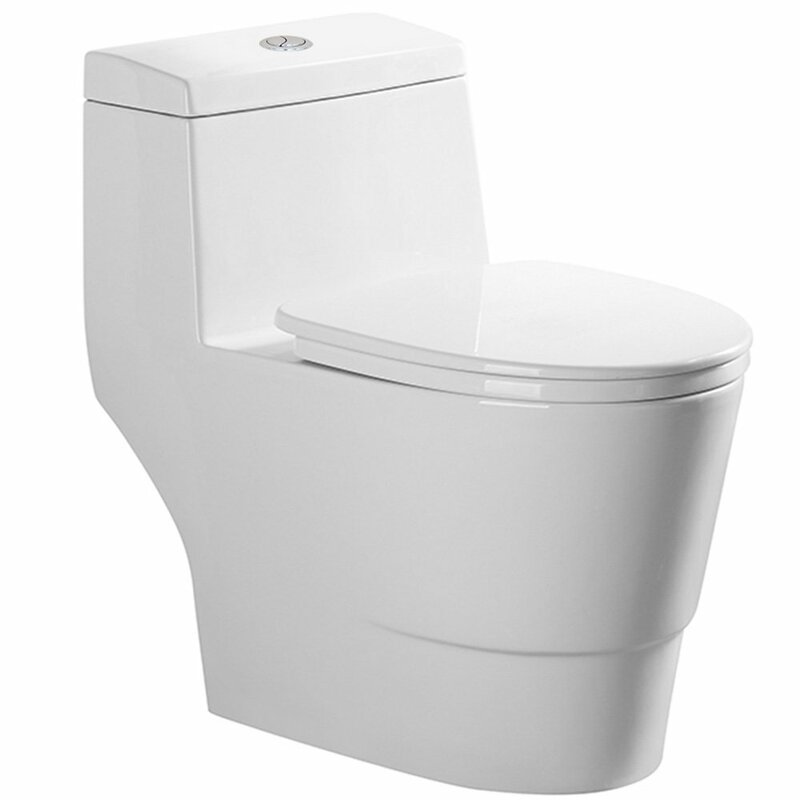 Our pick would be the American Standard H2Option as it really is a great toilet for the price. But, again, this is personal choice determined by your own personal needs.